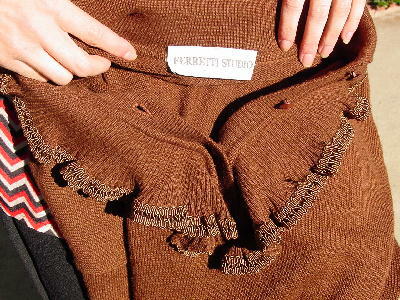 This vintage brown sweater was made in Italy. The tag says it's Italian size 42 and American size 8, but it fits like a size Large. 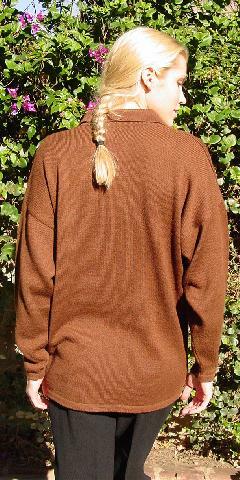 It has a shirt collar with 4 buttons down the front 10" opening of the modified jabot. It has an interesting piping at the edge of the jabot. 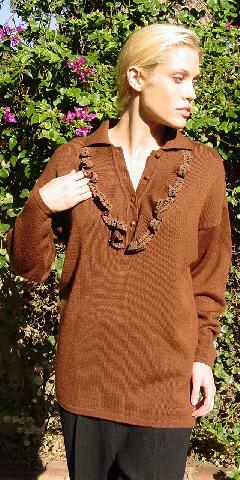 A larger size model wore it with Romeo Gigli black pants.